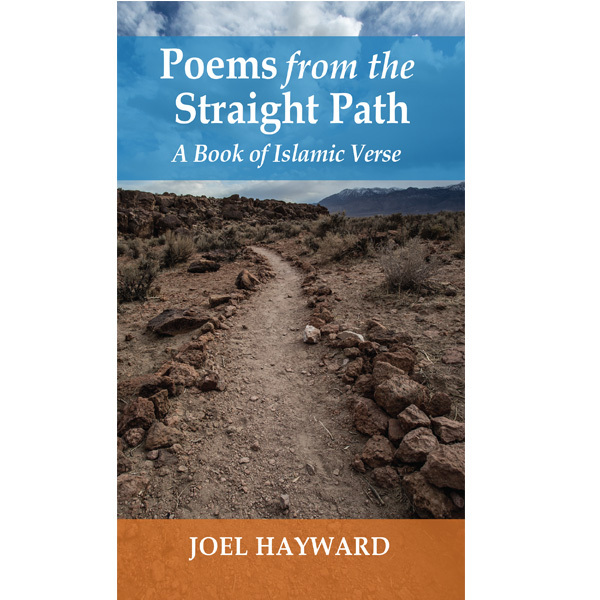 Poems from the Straight Path reflects, chronicles and tries to make sense of Joel Hayward’s conversion to Islam after two decades as a fish-out-of-water Unitarian within Trinitarian Christianity. The realization that the God to whom he prayed was one, not three, and that Islam was the way for him to worship the God of Abraham, Noah, Moses and Jesus. His conversion was a life-transforming journey that led Hayward, at almost forty, finally to bow his face to the ground before God for the first time. Despite being religious for twenty years he had never bowed as a man should; as low to the earth as the human spine will allow. The process of learning Islam is more profoundly complex and confusing, yet stimulating and satisfying, than for those who were raised in Islamic families or communities can possibly imagine. Everything needs to be learned. But first everything needs to be unlearned. Hayward’s journey of exploration, transformation and illumination forms the beating heart of this moving collection of poetry. Yet his poems deal not only with his own reversion and other spiritual experiences, but, more importantly, also with the everyday challenges and hopes of western Muslims who wrestle to understand their gone-astray society and its encroaching pressures. A timely and important work that reveals the struggle and profound insights of someone bridging cultures and faith traditions. “In a world where the very word ‘Islam’ has become the site of intense, loud-voiced, and often violent ideological struggle, the poetry of Joel Hayward offers a world of calm but powerfully poetic reflection on a cluster of themes that lie at the heart of Muslim experiences today. Hayward evokes exquisitely the process of creation, the qualities of God, and the characteristics of His prophet; he enlists powerful metaphors to capture the resonance and conflict between body and soul, using a wealth of sensuous imagery to express spiritual states (‘a door shaped like my mother’). He leads us through the varied semantic reverberations of the call to prayer and pictures the many shapes of jihad. The decline of the Muslim world community and the hypocrisy of religious fanatics are graphically described using dramatic twists and verbal irony. Hayward powerfully portrays the hijacking of Islam, again in striking imagery (‘Assassins have the crescent moon’). This is a world where the struggle toward God and the intonations of prayer coexist with ‘empty crisp packets’ and the sounds of ‘Hey Jude,’ where congregational prayer is interrupted by the ringing of cell phones, but where, also, the silence of God is ‘unconquerable.’ These are the many voices of Islam alive today in a Muslim’s heart, pointing to the silence one must nurture in one’s soul in order to listen to the supreme silence.